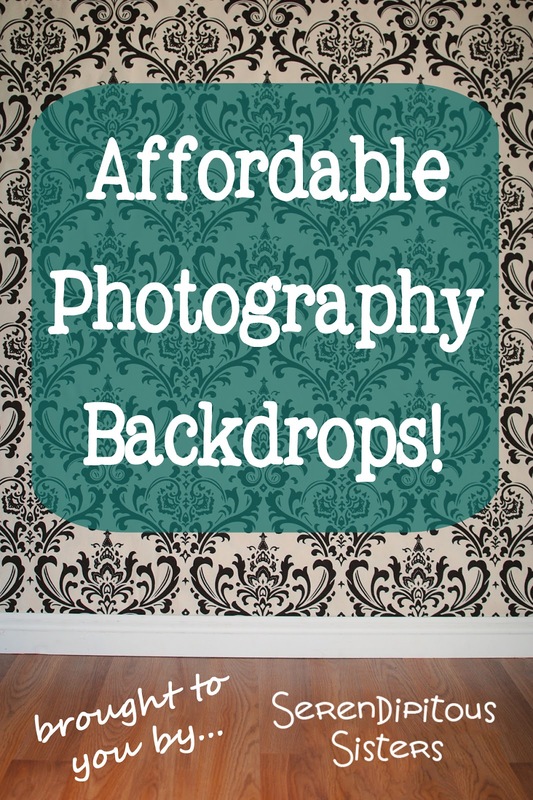 Our photography prop shop, Serendipitous Sisters, will now be offering super cute, super durable, super affordable photography backdrops! 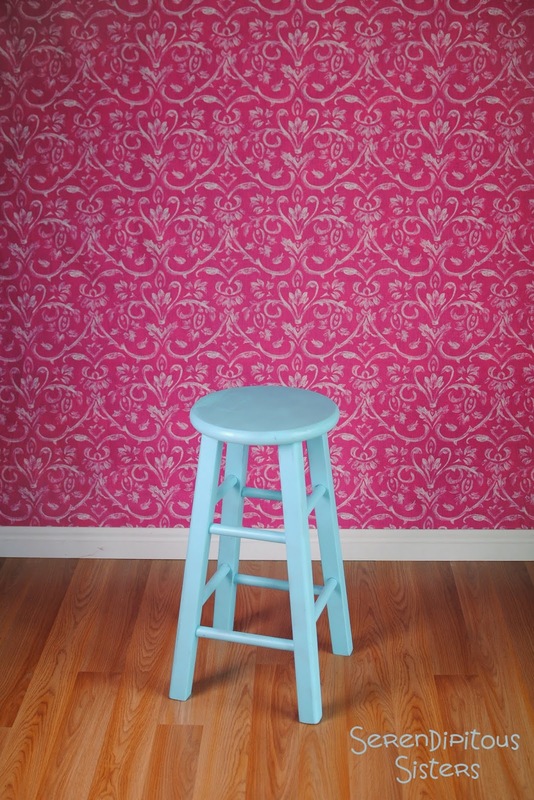 Our backdrops are made from thick medium-weight cotton fabric which naturally resists wrinkling. 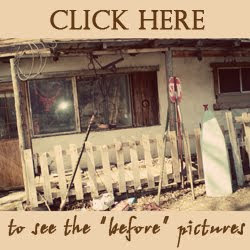 They also do not give off an unsightly glare as many vinyl backdrops may have the tendency to do. Each has slightly different measurements (see the product descriptions on Etsy for exact measurements), but in general they are about 4 1/2 to 5 feet wide by 5 1/2 feet tall of useable, finished backdrop... Perfect for newborns, children, and adult head/torso shots! There is a professional 2" casing (pocket) on the top and bottom which gives you utmost versatility in hanging your backdrops. Selvedge edges (the woven ends on the sides of the fabric) have been left intact in order to provide you with maximum width and durability. 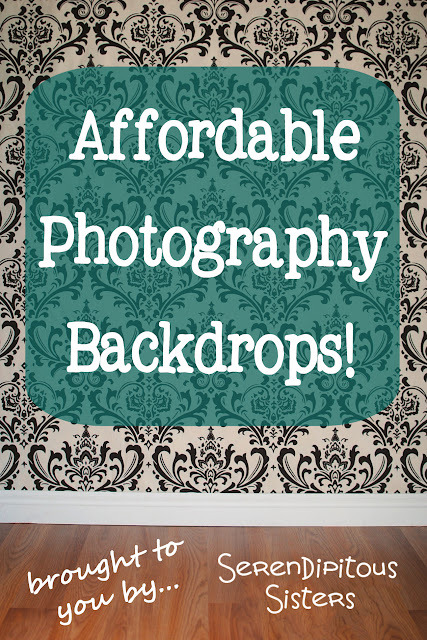 I want to share with you some of my favorite ways to use these backdrops and make them look their best! Here's a pullback of my portable PVC stand set-up. These backdrops would certainly work any regular photography stand as well. I either use natural light at about a 45 degree angle (depending on the space I'm setting up in) or use a combination of my strobe lights & a reflector. Proper lighting is SO IMPORTANT in making backdrops look good! For a step by step tutorial on how to construct a sturdy PVC backdrop, see this post. I insert my 3/4" PVC into the pocket and roll my backdrop to the perfect length for my stand. I use simple A-shaped spring loaded clamps (can be found at any hardware store- I got mine for .89 each at Harbor Freight) to secure the excess rolled fabric. The clamps are angled slightly backwards so as to not create dimples in the fabric. Here's where our backdrops are unique and help create the most wrinkle-free setup possible! There is a bottom casing sewn in, where you can insert a piece of PVC, and even without being secured on either side this will help keep tension on your backdrop and keep it from going anywhere you don't want it to! This is quicker and easier to transition from one backdrop to another than tucking it under your floor and baseboard. For the best, wrinkle-free storage of your Serendipitous Sisters Photography Backdrop, simply roll it up onto the PVC starting from the bottom, maintaining slight tension as you roll. I keep mine hung horizontally on a custom-built rack (thanks dad!) but another good option would be in a closet, under a bed or couch or propped in a corner space. I store mine with "wrong sides" out so that the front "pretty side" doesn't get dusty, dirty, sun-damaged, etc. Backdrops may be folded (and will be shipped folded for the most cost-effective means of getting it to you!) but they may need ironed before each use. That being said, please plan on ironing (wrong side up) your backdrop before its first use after shipping. As you can see, I really love PVC for all of it's amazing cost-effective usefulness (they come in 10-foot lengths for just a couple of dollars at home improvement stores!) 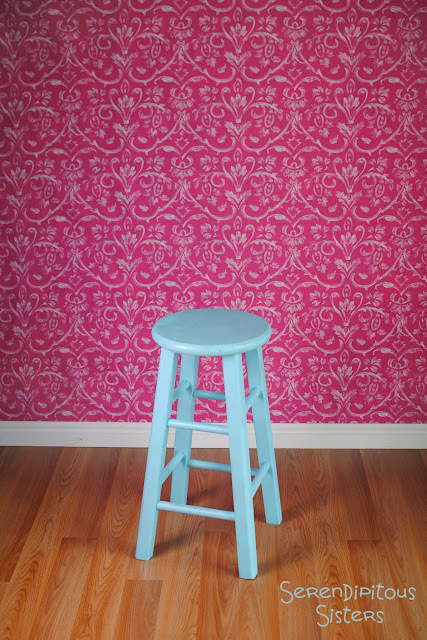 and I love that I now have so many different options for pretty, proffessional backdrops that are SO EASY to use! And finally... Here's a finished shot with the backdrop. I hope this post has been helpful and please feel free to leave a comment with any questions! Check out the shop for more fun, affordable, photography accessories! We have received a few requests about the exact design of my PVC backdrop, as well as inquiries whether it is available for purchase. I will work on a detailed photo tutorial to post here soon within the next couple of weeks, as well as kits to be sold in our etsy shop.